As the tune says: "baby you can do it take your time do it right". Being First is one thing, embarrased or being sued is another. Of course, the desire to be first, even at the risk of being wrong, is nothing new. But social networks and real-time Internet portability have combined to spawn errors and reactions at an increasingly breakneck pace, particularly on Twitter, which -- with its brevity and scope -- makes it easy to disseminate clickbacks and comebacks in 140 characters or fewer. Many errors are minor. Actor LeVar Burton, mistaking Twitter's private and public spheres, accidentally released his phone number to the entire Twitterverse, then backtracked with a joke. Celebrity rumors roar through all the time, causing quick kerfuffles as they're checked and then dismissed. Others, however, are more dramatic. Last month controversial hip-hop singer Chris Brown posted a defiant message after the Grammys -- a tweet that didn't go over well. Soon afterward, Brown (or his handlers) deleted all evidence of his Twitter tantrum, but not before bloggers had grabbed screen shots of the offending missives. 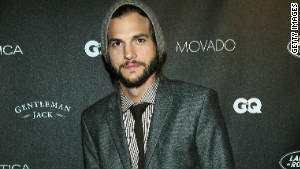 Ashton Kutcher posted a hasty tweet about the firing of Penn State's Joe Paterno, then apologized. Actor Ashton Kutcher, who has close to 10 million Twitter followers, tweeted a protest of Penn State coach Joe Paterno's firing -- before realizing why Paterno was being let go. Kutcher later apologized, deleted his earlier messages and finally put his Twitter account under the control of his publicists.